"And then... We clicked on the coffee mug icon..."
In this series of articles celebrating the upcoming 30th Anniversary of Super Mario, various members of the Nintendo Life extended family will share their memories and thoughts on the iconic franchise. This time we have our wannabe hipster reviewer Jose Acosta. 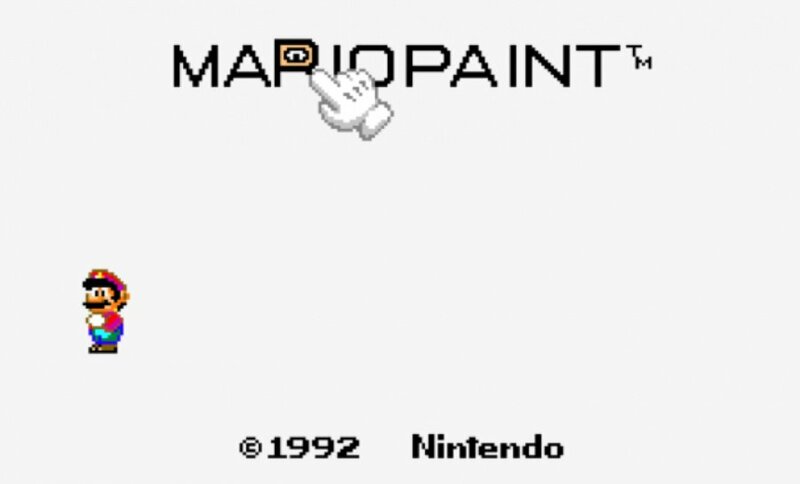 When I think of Mario Paint the first thing I remember was not knowing how to get past the title screen. No wait… the first thing I remember about Mario Paint was going to the local video rental place at my hometown of Maracaibo. My father, my brother and I were browsing the aisles looking for movies to watch, when I glanced at a huge box at the end of the hallway. It read, 'Mario Paint', I was baffled… "what is this game all about? Is it a new Mario game but… with what does 'paint' mean?" Now, this was a time way before I mastered the English language, heck I even struggled at Spanish, just like any kid would. But as a six year old with the deductive skills of a six year old, I noticed that Mario was holding a paintbrush in his hand. "Oh so this must be a game where you can paint your own Mario levels, I'll take it!" I said to my father. One of the letters in the title came alive! It had an eye and started making baby noises as it chased Mario off the screen! We could not contain our laughter! Eventually we managed to find our way into the game, but not before we clicked every other letter. We soon found out that the incident in the title screen was not an isolated event. You see, Mario Paint is a title unlike any other. And one my brother and I spent countless hours exploring every nook and cranny - no brush, stamp or eraser was safe from us. All while the TV speakers blasted in full monaural sound the lovely BGM 1 track. We even gave the music composer a run for its money, although we never made a song as great as the ones that came with the game. Mario Paint suddenly meant business! The game went from being a stroll in the park to an endless action game. It was us against the flies, and just like in real life the flies were winning! We took turns devising plans on how to win, but alas we failed every time. It never truly mattered, because even in defeat we always had big smiles on our faces. Mario Paint was the title that changed us and our view of Nintendo. At the time we didn't realize what it meant, it was just a silly and fun game, but as the years went by we realized that little and silly game would be the stepping stone for me and my brother. Mario Paint was the first title we played together. The story repeated itself every summer, each time with a new game. Eventually my brother stopped being interested in video games. That time by myself made me realize the good times we had in the past, plus I had the opportunity to embark on many solo adventures. Last week, I sent him that video that's been circulating with the Super Mario Maker easter eggs, and his reply was… "Oh man! This reminds me of Mario Paint!" There's a nice story about the influence of Mario Paint on SMM in its manual. It's a little bit hidden, though. Hint: You need a password from the art book. @manu0 I'll make sure to give that code a try! Mario Paint is still one of my most treasured games ever! This game completely slipped past me back in the day. I always hear everyone praising it up and down, but I guess that's only if you're artistically inclined (unlike meself). Ah, this silly game made for some great memories...I feel I can kind of relate to the author because my brother and I always played video games together growing up, but he stopped being interested in them a long time ago. My interest in them has dwindled somewhat now that I'm in my third year of college as I've started to expand my horizons a bit more, but I still love playing them. I'm glad they seem to be referencing this game so much in Super Mario Maker. 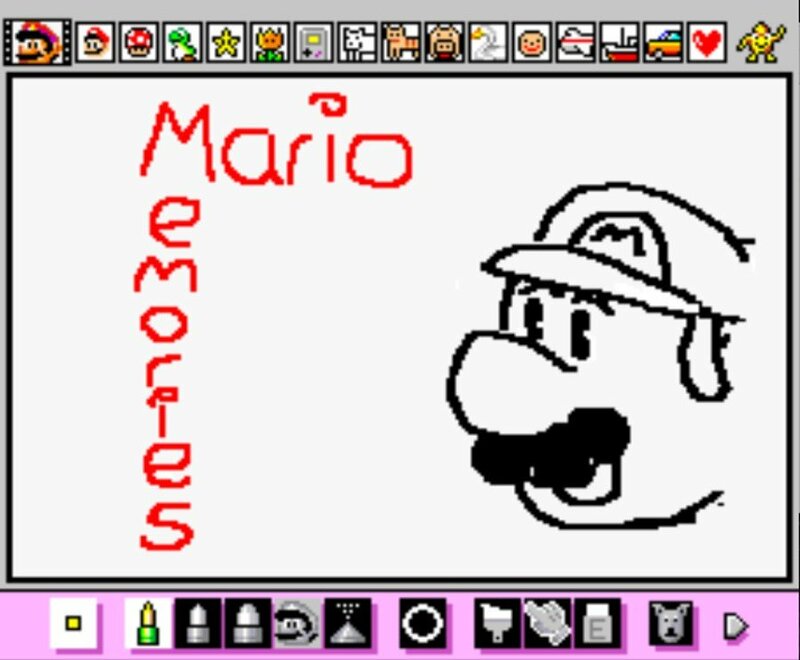 I wish Mario Paint would get a VC release with integrated gamepad touchscreen support! I have Mario Paint, but the mouse ended up getting ruined in my move, but I kept the game in case. I do have the Sega Genesis Mouse paint game called Wacky Worlds, which I never really got into, but was a copy of Mario Paint for the Genesis. I still love that there is so much obvious mario paint influence in super mario maker. I love how Mario Maker even uses music from Mario Paint. I love it. I got this back when it released and while unfortunately the game and mouse has moved on thanks to family "cleaning", I still have the mousepad on my desk at my office. 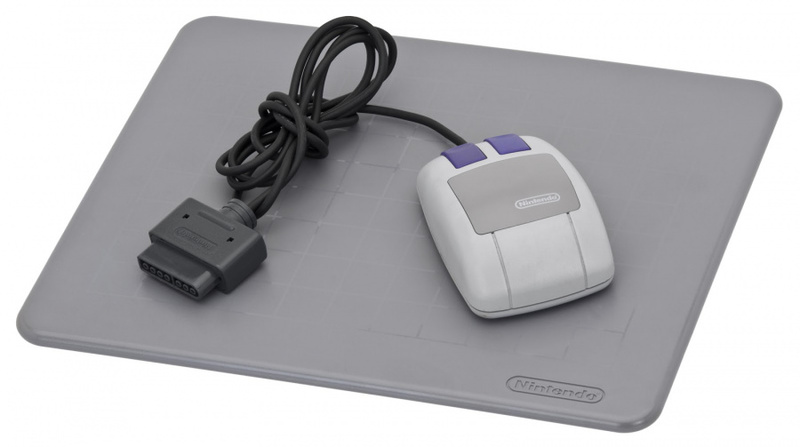 I really wish this would hit to Virtual Console with USB Mouse support. My best memories however, was discovering that the mouse worked with Vegas Stakes entirely by accident and then spending the next hour trying every game me and my friends owned to see if they worked. Ah Mario Paint. What a weird, yet wonderful addition to the Super Nintendo library. It just reminds me of how hard Nintendo tries to do new things and is, in its own way, a perfect topic on the day Nintendo releases Mario Maker. I love Mario Paint so, so very much. One of my favorite Super NES games. For a long time, I had hoped Nintendo would find a way to emulate it on Virtual Console by using a Wii Remote (or later the Wii U GamePad). Super Mario Maker is a far better spiritual sequel than I could have ever imagined. I was a kid when my parents gave this software to me. It was much more fun than using regular Paint on their PC. I used it a lot, I even connected it to the VCR. If Mario Paint meant that much to me (I'm a creative person), surely Super Mario Maker must be awesome to today's kids. I loved the Strategy Guide (?) for this game. Gave you references for other Super Nintendo artwork. It was a blast. Also had some neat pixel art in and of itself. @Darknyht I don't know why they couldn't rework it to use Wiimotes instead. Point for the mouse A and B for the buttons. Although I hated using Wiimotes for pixel art in Animal Crossing City Folk. Maybe utilize the Gamepad's touch screen somehow? @NintyMan d'awww ^^ I bet that was the best family reunion, new baby and the fun of Mario Paint! @Genesaur I squee'd when I learned that they brought back the Save Data Robot back! Time to research it on the internets! @VanillaLake I remember when we first tried Mario Paint my brother screamed "this is like Paint, but fun!" @AirElephant the people doing exercises, the menu to change the BGM, even the mouse settings menu was bizarre, but in a fun way! @JoseAcosta You need to check it out. It's an incredible piece of work. Introduced me to several games, one was Star Fox. You can easily find a PDF using a quick google search. This would be great for a VC release. Make it happen, Nintendo! A very cool little game from Nintendo. Would be ideally suited for some kind of VC release on Wii U but with a slight tweak so you could use the GamePad and stylus with it. Can we get this on the Virtual Console? And Virtual Boy games on the 3DS? OK thanks. @JoseAcosta Oh, the good times. How naive and unworried I were.